It is that time of the year again where we wait to see how much sunshine the summer will grace us with, rummaging around in the garage to find if your racquet still has strings and then being inspired to play tennis after watching Konta, Watson, Murray or Edmund! 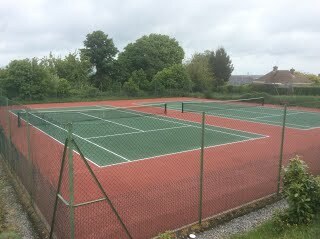 Maintained single tennis courts in villages are on the decline in England and it is something to celebrate that Payhembury still has a court that is available for all the community to use. 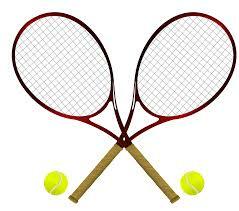 The biggest factor towards the maintenance of the court is its proximity to the hedge and the constant weed killing. This is the main reason we charge a small yearly subscription of £30 for a family, £25 for a couple, £15 for an individual and £10 for an U16/Student or OAP. The court is sprayed for weeds about 3 times in the season and the hedge is cut back regularly to stop more incursions. We also get the court sealed every few years and have built up funds to respond to any serious issues that require action. However it has been a tough few months for the court with the extreme changes in the weather and some damage to the fence. Due to the rain the weeds and hedge are bigger than expected and the perimeter fence has been damaged by someone(s) who have created a hole to enter into the court. This is unfortunately the first significant damage for a few years but should all be fixed soon. We will still operate a lock and key for the court to avoid further damage. It is really to get access just fill out a membership form which can be found at http://www.payhembury.org.uk/images/PTC-Membership-forms.pdf, pay the subscription and contact the chairwoman, Jane Wood, on 01404 841843 to get a key. Existing keyholders will need to pay the annual fee but can retain their current key. We did not have an annual clear up this year due to the poor weather but we welcome any help from the community in the future. Please keep using this community facility and we look forward to seeing a full booking sheet this summer.